I worked together with a few friends to throw our friend Amy her baby shower, she was expecting her second little girl Autumn on Thanksgiving day, so we thought a Fall themed shower would be perfect! We had the shower outside and the weather was beautiful! We served soups and salad for lunch and pies for dessert. As favors everyone took home a homemade pear butter. 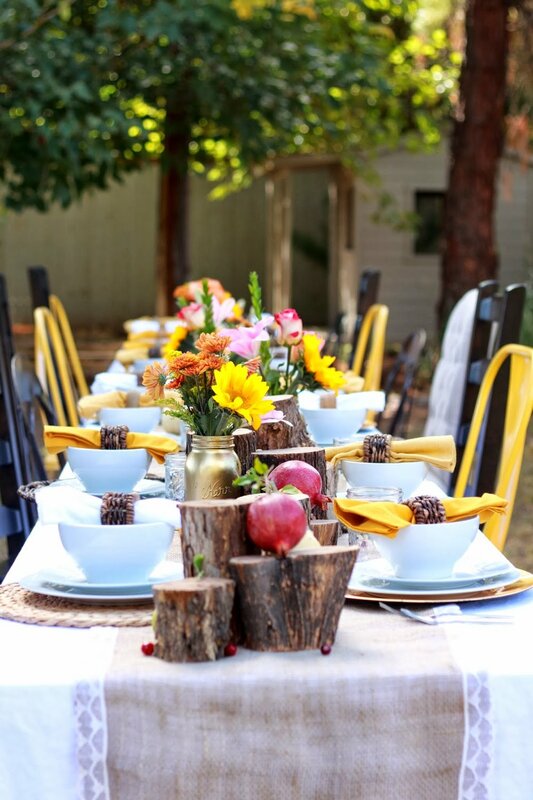 We decorated the tables with pink, yellow, and orange florals in gold mason jars. We placed tree stumps down the center of the table, and scattered fresh pomegranates, oranges, lemons, pumpkins and cranberries on the tables. 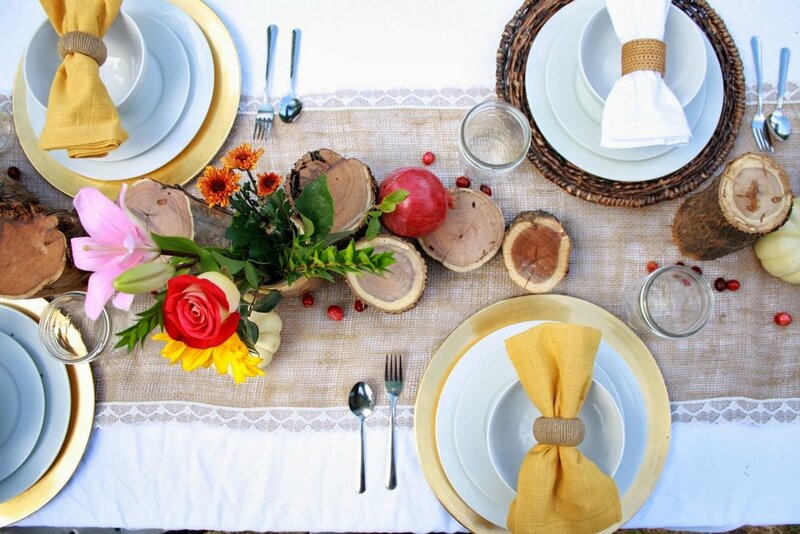 We also used burlap table runners lined with lace and a mix of gold and wicker plate chargers. 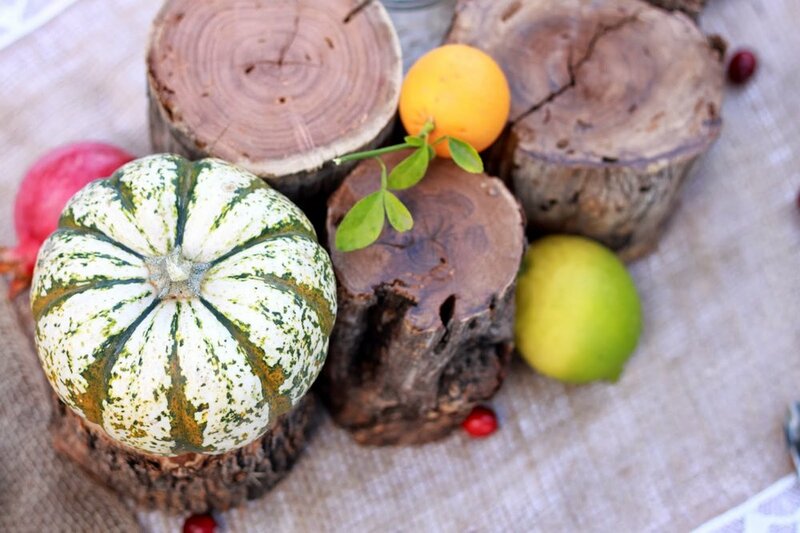 This would make a perfect tablescape for any Fall dinner party or Thanksgiving day!